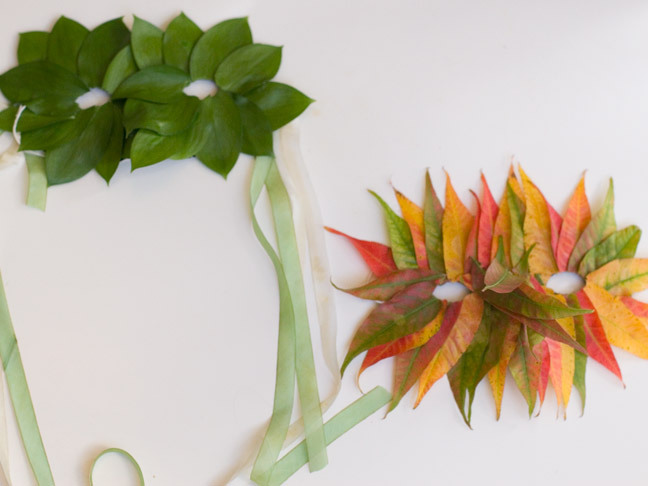 Fall leaf masks are festive way to create a fun fall mask with leaves and foliage found in your own backyard or local park. My kids love to collect leaves and then come up with their own unique fall or Halloween masks. These even make great camouflage disguises for outdoor games like hide and go seek. 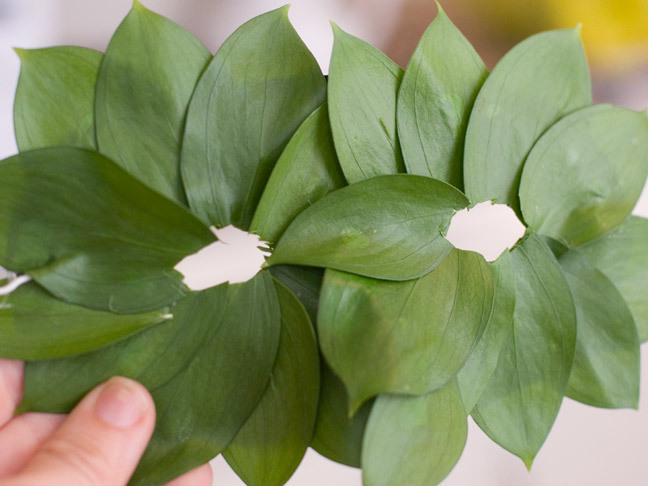 Because you cut the eyes out afterwards, even very young children can participate, helping to glue down leaves without worrying about correct placement. The end result is really very pretty, no matter who assembles them. 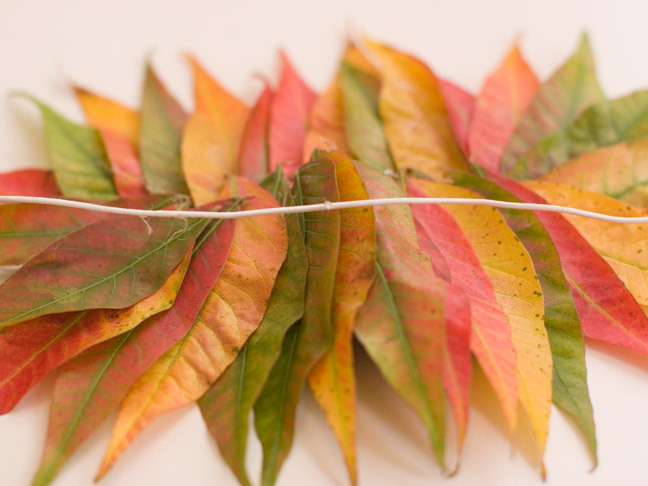 Assortment of fresh fall leaves. 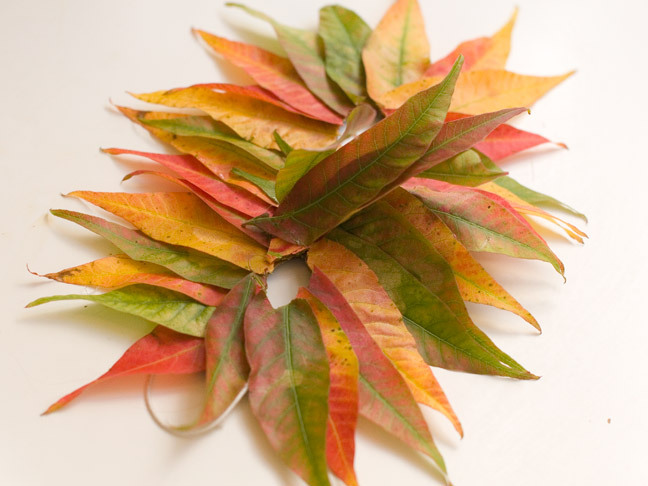 Your local flower shop is a great place to find nice leaves if you’re looking for something specific. Plastic Halloween mask, about $1 from your local party store. Glue. I used a glue gun, but you could also use regular craft glue. 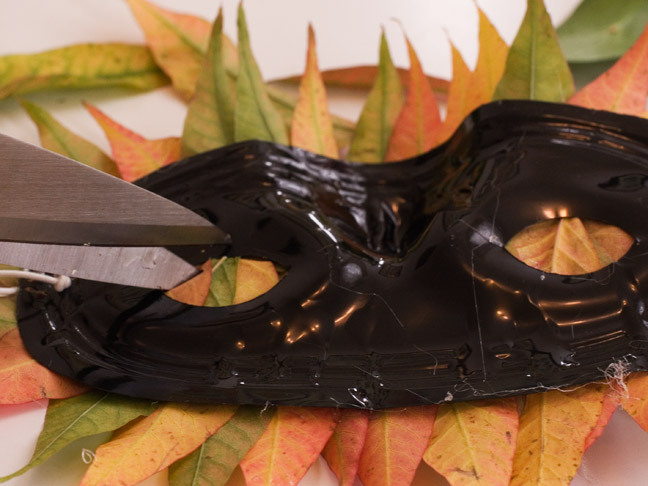 Glue down each leaf one by one onto the plastic mask. Slightly overlap each leaf. Make your way around the whole mask. Don’t worry about covering up the eye holes, you’ll cut those out when you’re done. 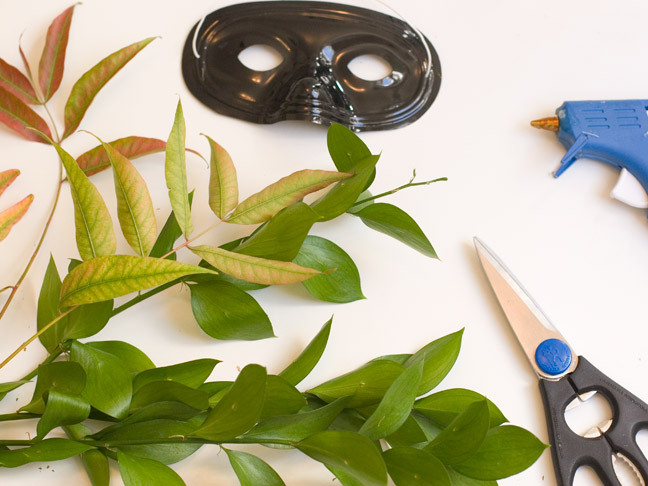 Turn the mask over when you’re done and carefully cut out each eye hole. If you’d like to make a beak of some sort, glue leaves onto the nose pointing out. For my second mask I tried arranging them in more of a circular pattern framing the eyes. 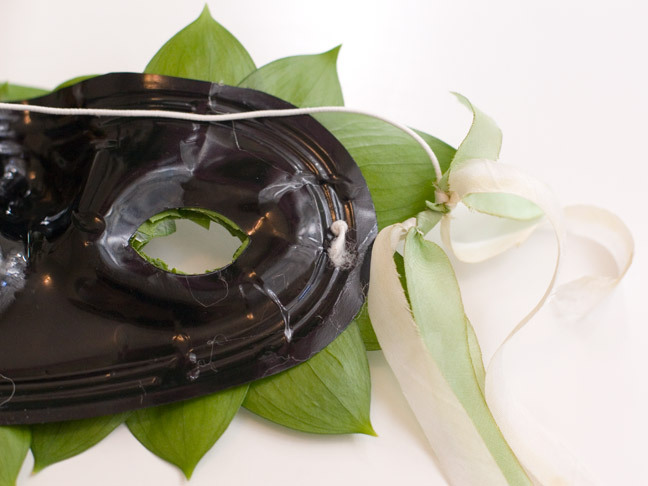 You can also tie silk ribbon on the back of the elastic to hang down from the sides in varying lengths. 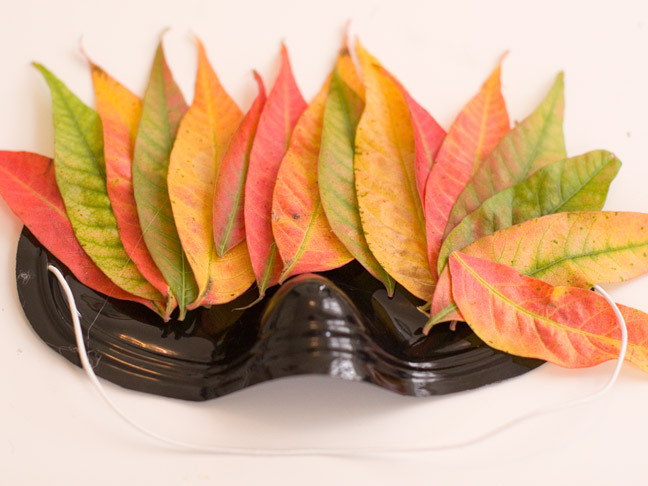 The leaves will start wilting in a couple days so enjoy your fall leaves mask while it’s fresh.